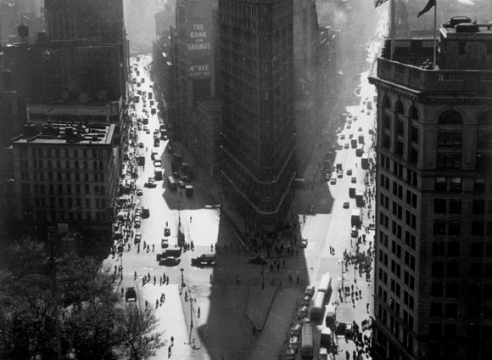 The Tibor de Nagy Gallery is pleased to celebrate Rudy Burckhardt’s centenary with a survey of his photographs, paintings, and a selection of his films. There will also be vitrines with his collages, his early photographic albums, and sketches. In addition, exhibited for the first time will be a group of his otherworldly painted mushrooms. The exhibition will present his works in groupings of his modestly-scaled paintings and their related photographs; in many cases the images are almost identical. Burckhardt once noted that with photography, one can capture a moment with one click of the shutter. He liked painting in part because it was slow. His paintings were closely observed, highly detailed and took time. Later in his life, as painting became a larger part of his output, particularly with his late Mainescapes, he would take his camera and his paint box into the woods. He took pictures, shot films, and painted images of tree trunks, the fronds of ferns growing out of their central stalk, and the tangle of trees decomposing on the ground. In his final decade, he painted many close-up views of the bark on birch and maple trees, with the gray and silvery lichen set off by the warm browns and grays. 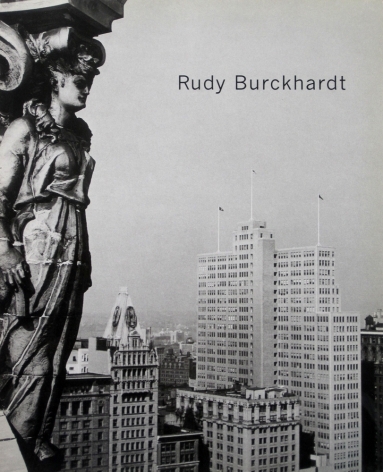 Burckhardt arrived in New York from his native Basel in 1935. Burckhardt’s sixty-year career spanned generations and witnessed the rise of Abstract Expressionism and the New York School. An influential presence in the New York cultural scene, Burckhardt counted among his friends artists Willem de Kooning, Alex Katz, and Red Grooms, among many others. Burckhardt’s photographs have been the subject of a 2002 exhibition at the Museum of Modern Art and a 2008 exhibition at the Metropolitan Museum of Art. Last year an exhibition of his New York and Maine images was presented at the Museum der Moderne, Salzburg, Austria. An exhibition of his photographs and films just opened at the Fotostiftung Schweiz in Winterthur, Switzerland, not far from Basel where he was born in 1914. A selection of the artist’s early and later films with be screened on a loop in the project room along with a documentary, Man in the Woods: The Art of Rudy Burckhardt from 2003.